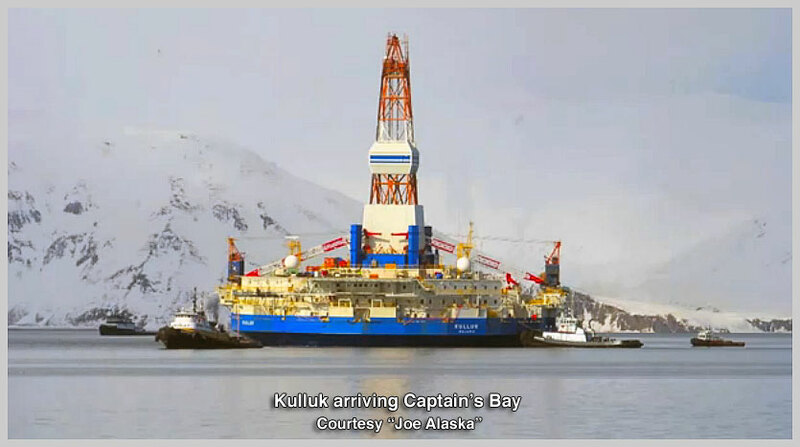 The Conical Drilling Module (CDM) Kulluk "convoy" Ocean Wave (Crowley) Lauren and Corbin Foss arrived in Captains Bay (click hyperlink to view video) near Dutch Harbor Alaska on Tuesday morning, March 5th. I found it interesting that all three Automatic Identification Systems (AIS) were turned off on the three tugs until their arrival. Shell spokesperson Curtis Smith says the heavy-lift vessel that will be picking up the Kulluk, is on its way to Dutch Harbor. 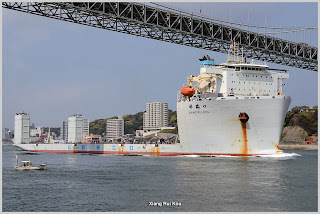 The Xiang Rui Kou left China on Sunday. Her Estimated Time of Arrival (ETA) at Dutch is Monday the 18th. This vessel is almost a carbon copy of the Xiang Yun Kou now making up in Seward Alaska with Shell Oil's other floating disaster, Noble Discoverer. She was erected after the Xiang Yun Kou, and incorporates modifications to the X-Class plan. The containment barge Arctic Challenger remains at Bellingham. Once again the Chinese are "cleaning our clock." 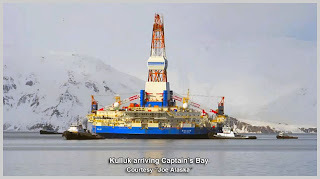 • Since there is not a dry dock on the West Coast large enough to facilitate the drill ship Kulluk, it is being delivered to Korea by a Chinese heavy lift vessel. 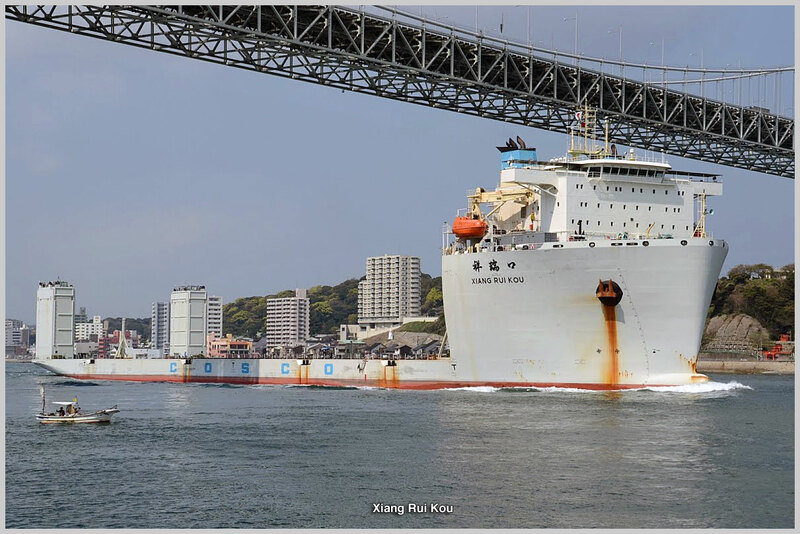 • The Noble Discoverer is being dry towed to Korea for repairs, by a Chinese heavy lift vessel. I am confounded by this expensive move, since Vigor Industrial & Marine in Seattle had done extensive work on the vessel in 2011-2012. • The only income for the USA comes from the tugs used during this escapade; Crowley, Dunlap, Foss, Western Towboat and one or two others. Loved all the photos- especially the map showing distance from China, Korea, Alaska and lower 48. What an operation. I feel like I'm in the front row viewing section thanks to your exciting blog. Thanks for the hard work and being 'on top' of everything.